The macula is an area in the back of the eye, or retina, critical for sharp vision. 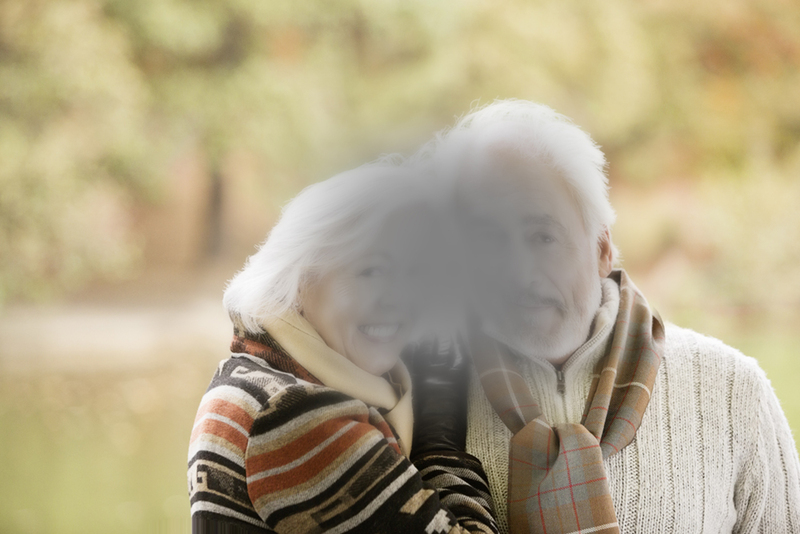 The term age-related macular degeneration (AMD) refers to degenerative changes in this area that can lead to vision loss and even blindness. AMD occurs in two general types, “dry” and “wet”. The dry form is a metabolic disorders in the “vision cells”. This form of the disease typically develops slowly and can go unnoticed for years resulting in significant, permanent vision loss. In contrast, wet AMD develops faster, often causing noticeable distortion of vision. There are a number of very effective medical treatments for wet AMD, and similarly effective therapeutics for dry AMD may soon be available. The earlier AMD treatment starts, the more effective it may be, so early diagnosis is essential. One of the best tools doctors have to identify AMD is an “OCT” exam. 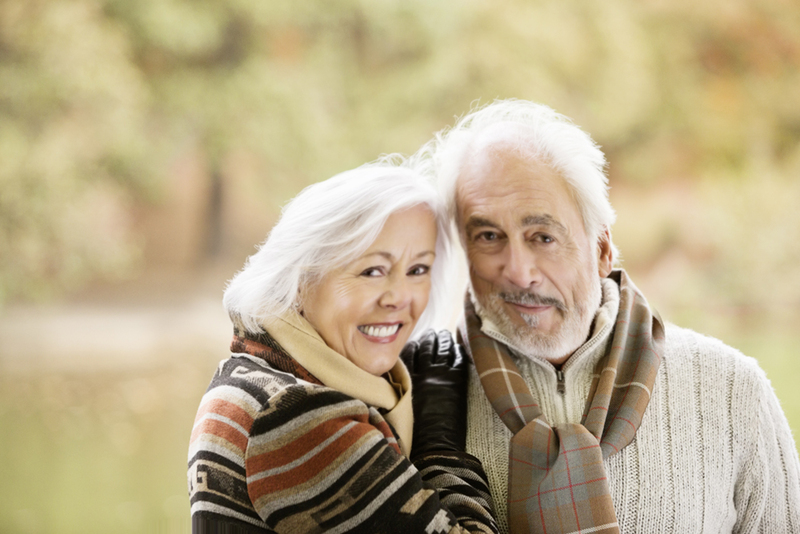 You may not notice early AMD vision changes, but your doctor may be able to detect it with OCT.
Advanced AMD causes significant visual impairment. What is an OCT examination? “OCT” is short for “optical coherence tomography” a modern imaging technique like MRI or sonogram, which shows doctors structures inside the eye that can change due to eye disease. What are medical benefits of the OCT examination? Careful examination and analysis of the structures seen in OCT images can help doctors identify early signs of eye diseases like AMD and glaucoma. 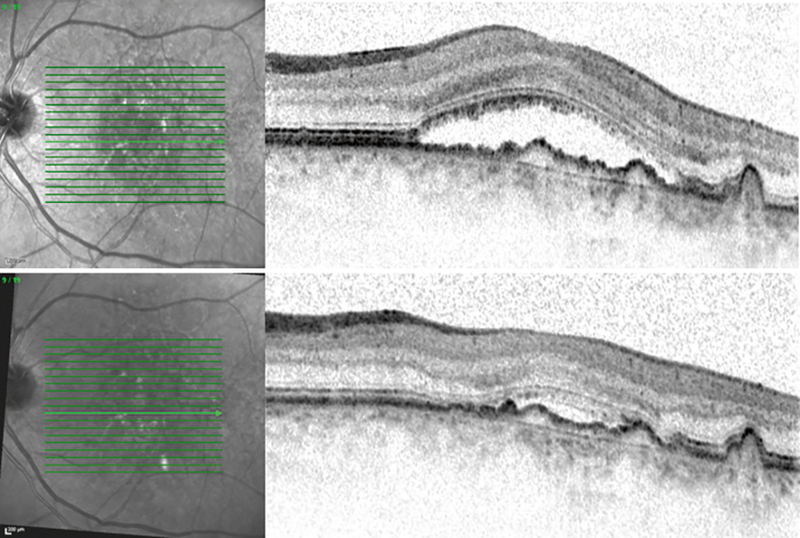 Using OCT to monitor treatment of Wet AMD. In fact, OCT is so sensitive, it often shows doctors signs of disease before you notice any changes in your vision. This is a tremendous advantage to you; because, studies have proven that starting treatment early is the best way to save vision. OCT is also helpful for confirming whether your treatment is working or if alternate treatments should be considered.